This entry was posted on Friday, June 25th, 2010 at 3:43 pm	and is filed under RMAN Backup and Recovery. You can follow any responses to this entry through the RSS 2.0 feed. You can leave a response, or trackback from your own site. Nice, to watch and learn from expert. I’ll be glad if you can post 11g RAC Installation on Linux video tutorials. 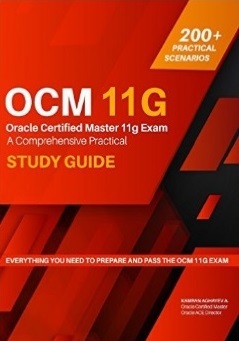 I’m Starter in Oracle technologies, currently pursing OCP. It’s good for ppl like me who are new to DBA job.I would be more than thankful to you if you can post RMAN Backup video tutorials. We have RAC with 2 Nodes and we have a test server with same configuration and OS(Server 2003).I want to have a back up of the Primary DB in my test server.So please help me out in the same. when i click the rman video links, it shows me bandwith problem;could you share this video on vimeo or dailymotion or other video sharing platform? I need your help with installing and configuring Oracle DataGuard. Do you have a tutorial/video for that? Hope everything is going on well at your end. I require your help in creating a Standby DB in the same Server. but in the same server. The problem came in the following command. I dont know how the Standby database got mounted. As the Physical StandBy DB is going to be in the same server I added few more parameters in the PFile. # Convert file names to allow for different directory structure. # are located on the same system. how can we add it in pFile without knowing the name of the control file? 2) How many copies of control file will be created when duplicate database is created? 3) Is there anything missing or wrong or something needs to be changed in my above StandBy PFile? 4) Should I have to do some changes in the Pfile of my Primary DB when both Primary & StandBy are in the same server? I kindly request you to help me in this issue. Do you have any videos for creating the Physical Standby on the same server? but am facing RMAN-06023: no backup or copy of datafile x found to restore. I have done following things to check if backups are available. physically backups are available in FRA and also when i do list backup i can see the same backup pieces located at the same location(FRA). I have done even cross check n deleted the expired backups.At last i did even catalog backuppiece. All the above RMAN operations complete with out any errors.I am not able to figure out why RMAN is not able to find those backups while restoring. works fine but if i try to use duplicate command(backup based) am facing the above error. Please help in resolving the issue. Thank you very much for responding to my post. After posting here, i tried agian my luck in solving the issue. I resolved the RMAN-06023 error and was able to clone the database on local host. I was able to do that, by dropping n creating again a new target database. I did that because i am not sure if this was the cause,but tried it.The archived logs are being placed at 2 destinations one is FRA and the other is in dbs folder. I deleted one of those files from dbs folder(thinking they are redundant as i was running out of space). so i guessed, may be those missing files (.dbf) are creating problem. so i dropped n created a new db and took backup and tried duplicate again and it worked. I apologise for posting my doubt before i tried the last option. But still am not able to figure out, if the archived logs placed in dbs folder were being used while restore, then when i run crosscheck RMAN should be give the missing backups from dbs folder as list of those expired backups.But it didn’t say anything like that. So for now i could complete duplicate but not sure of the cause. Anyway its my personal pc, so will try to delete again from dbs folder archived logs and see if i can run duplicate and succeed. If am able to replicate the issue i will send you the result of commands you asked for. Am a newbie to Oracle and very happy to get your reply. I really like your articles and rman videos posted by you. I understand what you mean. I will try repeating the same scenario and will send you the commands and their ouputs in few days. Thankyou for this wonderful video. But i am facing a small problem while implementing this. On my secondary machine i just install the oracle software. I am using Windows Xp SP-2 OS to perform this task. ORA-12560:- TNS protocol adaptor error. I do not understand why this is coming. And also my listener is UP and running. Can you please help me out to resolve this issue. what is dbverify and how can be implement dbv(dbverify) in database? I need your help in create a backup (and restore it) in another site in the same network. 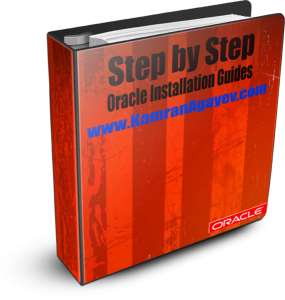 Hi Kamran .Very useful site for ORACLE. I found many of your tutorials to be very useful. Thanks for the wonderful tutorials. I have a case where i need to clone my existing oracle DB server VM’s in ESX. My existing DB Server is in Windows2003 and all the instances are running fine. After cloning some of the services does not seem to start. Please let me know how should i proceed. Do i have to follow the same methods after cloning? using RMAN. Thanks for the reply. The services which i referred were the listener and tns names. Even though i change the listener file the service doesn’t listen after vm cloning. And what error you get? i tried to install standby database on vmware . 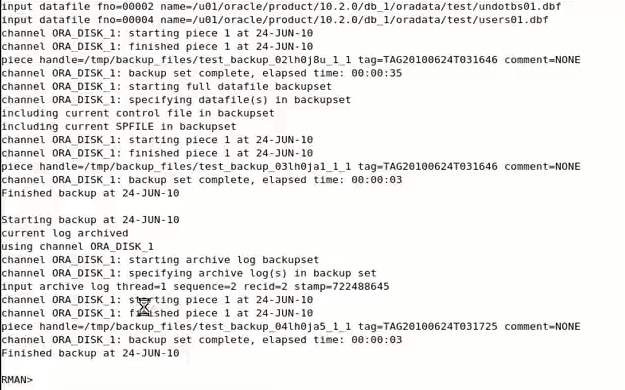 I followed all the steps and when i fire “duplicate target databse to “test” nofilenamecheck” command i got error which says oracle not available at auxiliary database. i did that still getting the same error………..
better i explain all the steps which i have done…. 1-i have created two virtual m/c. 2-installed linux 5.4 on them and oracle 10g on both m/c. 3checked the connectivity on them. 5– create a password file like you described on this very video. 6–start listener on stanby m/c and make the necessary changes in the tns of primary. 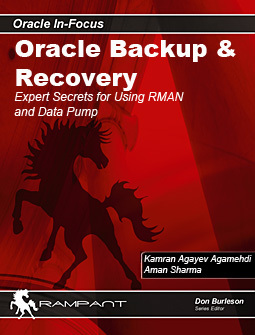 8-took backup of primary by RMAN and copy them to stanby m/c. 12- then duplicate target database to test nofilenamecheck; n i got that error………. I have no idea what mistake i made but i am getting that error again and again. kamran i really appreciate you for your time but please help me. The previous error has been solved but when i fire the duplicate target database to “test” nofilenamecheck……….I stuck at some point in the end……. it stucked over here for more than 3 hours and after that i got duplicate db command fail..
space available in the underlying filesystem or ASM diskgroup. SHUTDOWN: waiting for logins to complete. is this video suitable to create standby database on standard edition…. Oracle Data Guard is available only as a feature of Oracle Database Enterprise Edition. It is not available with Standard Edition. I am stucked at RMAN-06024: no backup or copy of the control file found to restore . Please look into it.